A unique way to relax and end the busy day of classes and exercises. The whole body is subjected to an underwater massage using water and air nozzles mounted in the walls of the bathtub. Warm water and air have a soothing effect on tense muscles and stimulate the circulatory system. Massage results in better blood supply to the skin, relaxation of tense muscles and has a unique de-stressing effect. 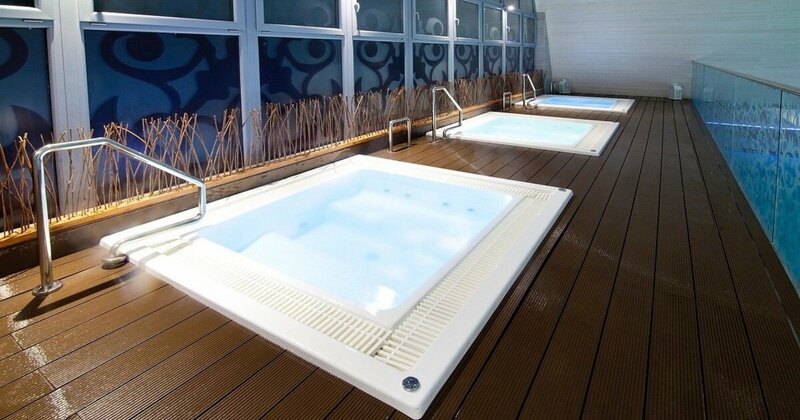 Our professional hot tubs is located next to the pool basin. Rest after effort! The ideal composition of warm water and air soothes the strained muscles and stimulates the circulatory system. The massaging stream is directed mainly at the back, spine and legs. It is recommended to use a 15-minute bath.